I spent last Sunday afternoon at Ward Pound Ridge Reservation in Cross River, Westchester County, NY. 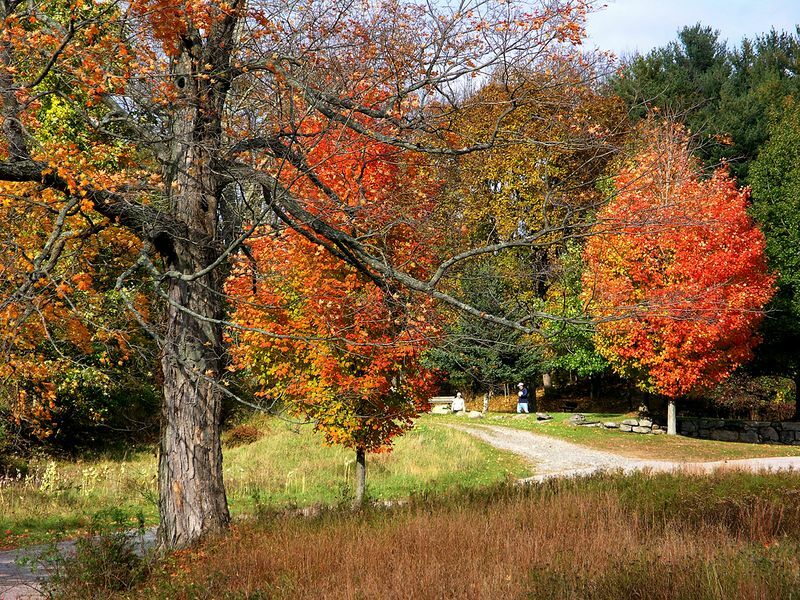 The 4,700-acre park makes Ward Pound Ridge Reservation the countys largest park. With its varied terrain and landscapes and miles of wooded trails the park provides a variety of activities in all seasons. There are areas for picnicking, lean-to camping, fishing and cross-country skiing. Visiting this park is like stepping back in time - before World War II or even earlier, with simple farmhouses and open meadows - and a blessed lack of the wire-laden poles that line all our otherwise scenic roads. The last photos were taken in my hometown in Connecticut.